Just minutes away from Ferguson, its now-famous neighbor, is Kinloch, the first well-established African-American community in St. Louis County. Kinloch was once a flourishing town with some 10,000 residents. Today, the population is less than 300. 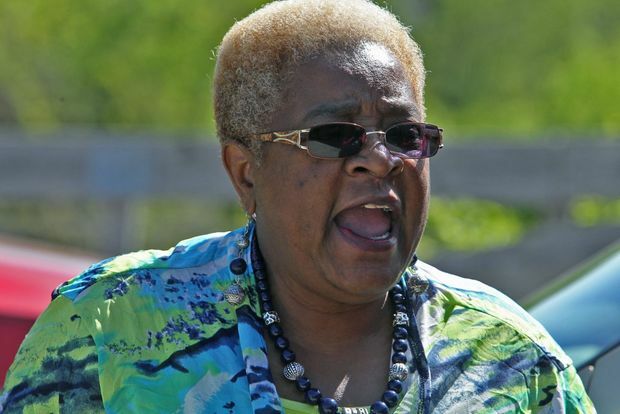 They elected a new mayor earlier this month: Betty McCray, 64, a seven-year veteran of the Kinloch Board of Aldermen. She won with 76 percent of the vote — that is, 63 votes. But the Board of Aldermen refused to swear her in, and now McCray can’t get into city hall. McCray told HuffPost that Kinloch officials have just “continued business as usual” since the election. “They don’t want to leave because they know I will find out everything that they’ve been doing,” she claimed. Read More Newly Elected Mayor Locked Out Of City Hall In Struggling St. Louis County Town. This entry was posted in News from the Soul Brother and tagged Betty McCray, government, James Robinson, Kinloch, Missouri, politics, race, St. Louis County. Bookmark the permalink.